Looking for a job or internship, especially as a college student or recent college graduate, can be difficult. Being new to the job market, you may not know where to start. CollegeGrad.com is a job search site targeted toward college students and recent graduates. The site provides entry-level job listings and internship listings, as well as advice for those who are looking for a job or have an offer lined up. Users can upload a resume and apply for positions directly from the site or migrate over to an employer site to apply. CollegeGrad.com’s homepage allows users to search for job listings by keyword, location, and type of job, including entry level, internship, or experienced jobs. A useful browsing tab enables job seekers to view groups of openings by lists of job titles, industries, locations, or employers provided by CollegeGrad.com. The “Advanced Search” option allows users to search by keyword, experience level (including entry-level jobs and internships), proximity to a location, and company. You can also sort lists of job results by relevance to keywords and date posted. CollegeGrad.com provides job search advice for college students and recent graduates. Job search advice includes networking and job negotiation strategies, as well as detailed job search advice from a free online job search book, College Grad Job Hunter. 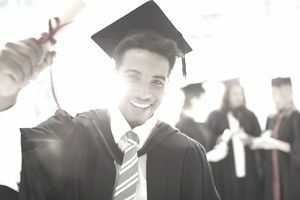 Along with general job search advice, CollegeGrad.com also includes detailed advice on specific topics, including careers. The site has detailed career profiles of 30 of the most popular careers. These profiles include job descriptions, salary statistics, training information, and more. Users can also browse 25 career categories like art, healthcare, business, computer, law, sales, and engineering to generate ideas for possible careers. Each category is populated with scores of career options. CollegeGrad.com contains general resume advice, advice about constructing college resumes, resume templates, and sample resumes. The site also features advice on writing cover letters, as well as information on how to request references from employers and college professors. Have an interview coming up? CollegeGrad.com offers interview advice, including preparation advice for an interview, tips for succeeding at a job fair interview, sample recruiter questions, how to dress for success, questions for candidates to ask, and interview follow-up. The site even has videos conveying interview advice. Employers can register on CollegeGrad.com to list job and internship openings online. Employers have to pay to list jobs, and prices vary depending on the duration of the listing. CollegeGrad.com includes advice for employers on the best way to list job postings. CollegeGrad.com also contains supplemental job listings provided by Glassdoor.com. College students and grads can also use Glassdoor to search and apply for jobs, create email alerts for similar jobs, and hear reviews about particular companies from current and past employees.